This is list of major tanker "jumbo" conversions and other large covnersions carried out by Newport News. 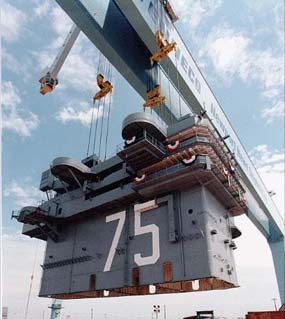 These jobs were not assigned conventional hull numbers, but were of sufficiently large scope to justify their listing with the new construction ships. The first column is the Newport News ship repair number, followed by the vessel's name, the type/size/class of the vessel, the owner/customer for the vessel, the type of work done, the date the vessel was delivered, and the fate or status of the vessel. For ships that remain in existence the current name is listed in the status/fate column; if no name is listed, the vessel retains its original name. Fox, William A. Always Good Ships: Histories of Newport News Ships. Donning Co., Norfolk, 1986. Newport News Shipbuilding: The First Century. Newport News Shipbuilding & Drydock Co., Newport News, 1986. For National Defense. Newport News Shipbuilding & Drydock Co., Newport News, 1941. Special thanks to Phil Tuckey for additional information, and to everyone who has provided updated information about these ships.